This story is a very difficult one to tell. The video…even more difficult to watch. Although it shows no violence, or inappropriate content, knowing what is happening and what is going to happen to this poor innocent child is more than just heartbreaking. Enough to make one physically sick with sorrow and empathy for this poor child. What you are about to watch is a man disguised in a burka, luring an 11 year old schoolboy away from his mosque. This is the last footage of the boy before his death. Little Azan Majid Janjua was raped and murdered after he was kidnapped from his mosque. He was there for afternoon prayers during their Ramadan celebration two weeks ago. The alleged monster who killed him posed as a woman dressed in a burka to go in and get Azan to the roof of the building because he knew that the boy would not follow a man anywhere without discussing it with his parents first. CCTV shows the suspect carrying a handbag and walking into a lift with a young boy. Police believe that the man is a Pakistani immigrant who took Azan to the roof of the apartment block where he then raped and strangled the schoolboy. 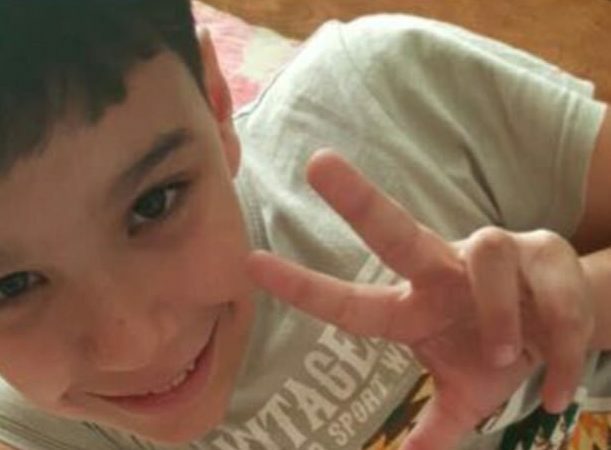 Azan’s half-naked body was discovered by air-conditioning technicians on May 31 on the rooftop of the building where he lived. He had a copy of the Kuran beside him. Less than 48 hours after the body of this little boy was found, the suspect was arrested and confessed that he did commit the heinous crime. Even more tragically, the parents who are from a Russian and Pakistani decent, found that they knew the suspect. This is exactly why the full face cover burka should be BANNED. They are an invitation and free ticket for wolves to dress up as sheep. It’s not right.